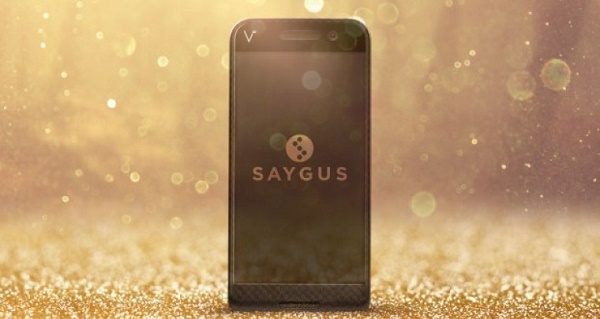 The company Saygus started a campaign named Indiegogo for its upcoming smartphone V SQUARED. The V SQUARED will be a high end device that aims to offer everything in one single package. Although OnePlus also had similar vision with its OnePlus One handset but Saygus claims something more than that. Check out the specifications in brief. The company has already managed to reach a million dollar target in just five days. 3. 3 GB RAM and 64 GB of internal storage expandable via SD card of 200 GB. These specs might change later on. 4. 21 megapixel camera with optical image stabilization and 13 Megapixel front facing camera. The V SQUARED will run the stock version of Android 5.1 at launch, which we expect to be the stock version. Saygus has mentioned on the Indiegogo page, that several security features that will be provided to the phone. There’s no information about price of the V SQUARED smartphone but as fat as date of launch is concerned, the phone might roll out by Fall 2015.